Acclaimed artist Frank Kelley, Jr. brings his Educational Arts Initiative Program to area youth. MONROE, La. 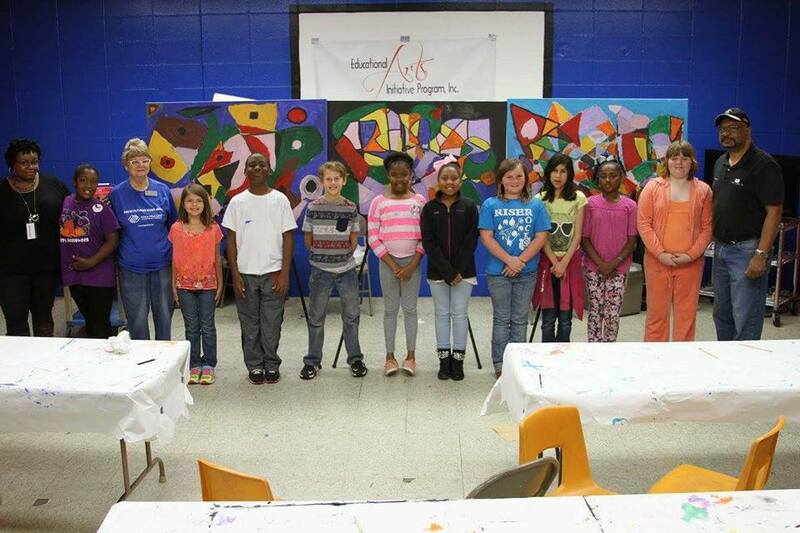 - Jan. 27, 2018 - PRLog -- More than a dozen area youth from the Boys & Girls Club of West Monroe, LA took part in an interactive arts program, lead by noted artist Frank Kelley, Jr. on Thursday. Celebrating 17-years working with community youth, the Educational Arts Initiative Program reaches youth through art. Participants have fun while being educated about art, build their self-esteem and learn self-expression, while increasing their reading, writing and geometry skills. Kelley works with private and public schools and youth organizations around the country, giving kids insight into artistic techniques and life lessons. "My motto is 'If I can, you can too," says Kelley. "Each child is given instruction and creative license to create a unique piece of artwork. They are taught techniques and they also collaborate with their peers. Later, the work is presented in an exhibit schedule for friends and family," said Kelley. Born and raised in Northeast Louisiana, Frank has created art centered around rural Louisiana, celebrated jazz and Southern life, along with Landscapes, Abstracts and Figuratives. The Educational Arts Initiative Program, a 501(c )3 nonprofit organization, was founded in 2001 to give youth the opportunity to gain self-esteem and life skills through art. This program is fully funded by individual and community donations. Partnering with the program is the best way to keep the arts alive in your community. They welcome your partnership and support. To make a donation or learn more, contact us at 318-387-0043 or artist1@bayou.com.